The symptoms of generalized anxiety disorder include excessive worry that interferes with a person’s ability to function at school, at home, or in social relationships. 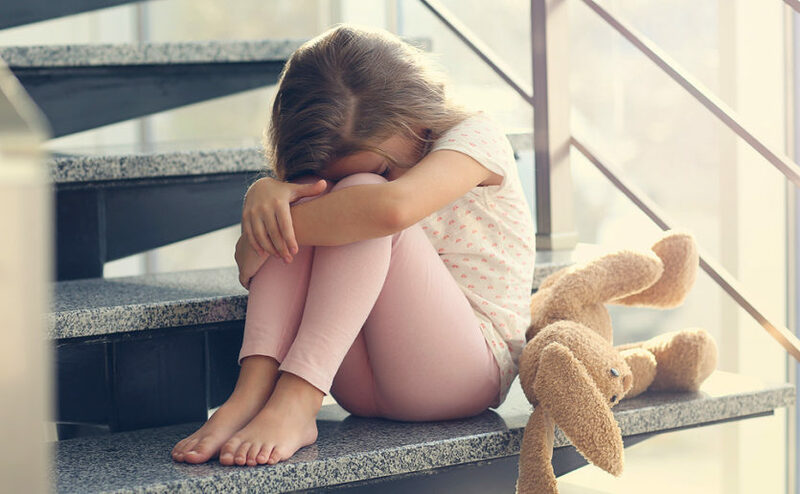 Psychologist Ellen Braaten, PhD, from Mass General's Clay Center for Young Healthy Minds, offers parents advice on how to both recognize generalized anxiety disorder in their children and seek the best treatment. A little bit of anxiety keeps us motivated and excited about life. Then, the summer before fourth grade, Joyce’s best friend moved to a new town, and her mother had appendicitis that required an emergency surgery. Though Joyce’s mother recovered after a reasonable time, Joyce couldn’t stop worrying about her mother’s health. She had trouble falling asleep at night. She worried that her mother might die, that a burglar might enter the house because the doors weren’t locked, or that all of her other friends would move away. Although she had always been a good student, her performance in school suffered. She became perfectionistic, spent far too much time completing homework and needed a lot of reassurance about her performance. The school nurse became well-acquainted with Joyce, as she frequently complained of stomach and headaches. Everyone experiences anxiety. It’s part of life. In fact, some anxiety is a good thing. A little bit of anxiety keeps us motivated and excited about life. It can serve as a warning sign when we need to make changes and can protect us from entering dangerous situations. It’s even been found to be a plus in leadership because it can make us be more careful in considering the possibility of multiple outcomes, particularly risky ones. But Joyce’s anxiety had gone beyond the level where it was a positive influence in her life. In fact, it had become quite debilitating. Joyce had generalized anxiety disorder (GAD), a disorder characterized by feelings of anxiety. The symptoms include excessive worry that interferes with a person’s ability to function at school, at home, or in social relationships. We don’t know what causes general anxiety disorder, but it’s most likely a combination of biological and environmental factors. • Worries that are accompanied by physical symptoms. These can include feelings such as restlessness, problems concentrating, muscle tension, problems sleeping, changes in appetite, stomach aches, headaches, and sweating or shaking. • The symptoms must be present for six months. Symptoms can occur more days than not during this six-month period. It’s important to note that experiencing anxiety just at the beginning of the school year, or after having a stressful week at school would not qualify for a diagnosis of GAD. • The symptoms cause significant distress and impairment in functioning. Symptoms can interfere with a child’s ability to function in every day life. If your child does get a positive diagnosis, keep in mind that GAD is very treatable. Regardless of the cause of GAD, we are constantly learning more about ways to treat the symptoms. The most effective treatment for GAD is cognitive behavioral therapy (CBT), which focuses on the presenting symptoms, is very goal oriented, and is skills-based. Therapy starts with educating the child and entire family about GAD so that they can identify the symptoms. Once symptoms, such as worrisome thoughts, have been identified, the therapy focuses on coping skills. Coping skills can include practicing handling challenging situations or faulty thought patterns. Other skills can include meditation, breathing exercises, and mindfulness. Medication can also be used to treat GAD, and for some kids both psychotherapy and medication is the best treatment option. To know for sure if your child has GAD, you need to get a diagnosis from a professional. The best place to start is with your child’s pediatrician. If your child does get a positive diagnosis, keep in mind that GAD is very treatable. After four months of weekly CBT treatment, Joyce experienced a significant decrease in symptoms. Ellen Braaten, PhD, is associate director of The MGH Clay Center for Young Healthy Minds, and director of the Learning and Emotional Assessment Program (LEAP) at Massachusetts General Hospital. She is also an assistant professor of psychology at Harvard Medical School. She is co-author of the book “Bright Kids Who Can’t Keep Up,” which was released in 2014.